The SMFZ is a structural event that hosts a number of gold discoveries including Rangold Resources’ Loulo and Gounkoto mines with a collective 14.2 million ounces of gold, Endeavour Mining’s (TSX:EDV) Tabakoto and Segala mines with 3.3 million ounces and IAMGOLD’s (TSX:IMG) and AngloGold Ashanti’s (NYSE:AU) Sadiola and Yatela Mines with 11.6 million ounces collectively. In 2015, revenue in the region amounted to approximately US$1.2 billion. 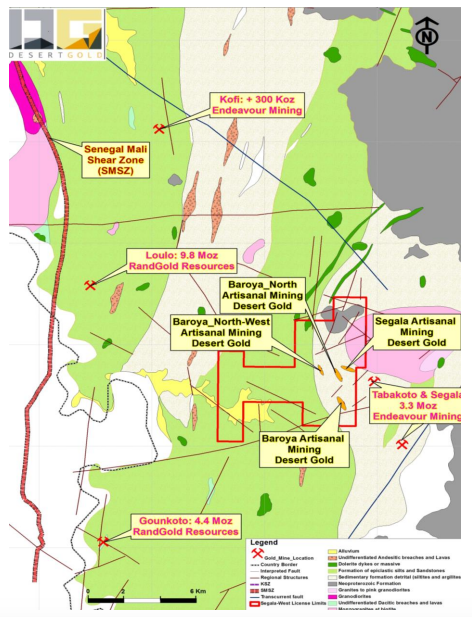 Desert Gold’s Farabantourou and Segala West projects both sit upon the SMFZ, in close proximity to the abovementioned mines. While still in the pre-discovery stage, both properties have seen initial drilling programs which have uncovered geological potential. As part of their growth strategy, Desert Gold is developing and exploring these properties while looking to expand their project portfolio in the region through additional acquisitions. 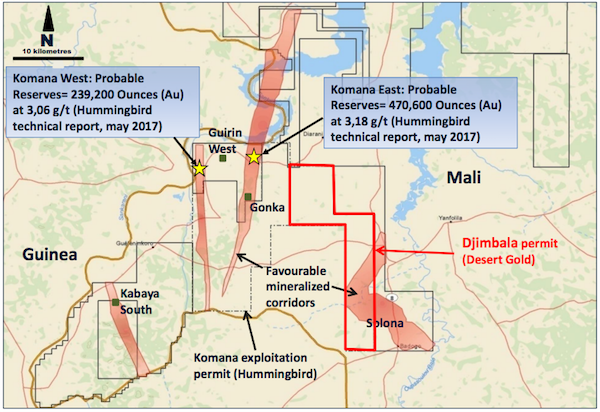 To the south of their SMFZ properties, Desert Gold also holds the Djimbala project, which sits in the Yanfolila Gold belt, sandwiched between the Komana West and Komana East projects, with probable reserves of 239,200 ounces of gold at 3.06 g/t gold and 470,600 ounces of gold at 3.18 g/t gold, respectively. Desert Gold is led by a management team with proven technical experience in the region. Owning 25 percent of shares along with other company insiders, management is significantly invested in the company. They are also supported by strategic shareholders such as Mali-based Sodinaf International Group Inc., who own 10 percent of shares and contributed $2 million over the course of 2017. The Farabantourou project is a 112-square-kilometer land package located between the towns of Kayes and Kenieba, to the northwest of Bamako. The property is surrounded by other producing mines on the SMFZ, which is responsible for a vast portion of Mali’s gold production. The property hosts extensive artisanal mine sites and has seen drilling across seven identified prospects, four of which sit upon the SMFZ. Mali is a country that has seen gold mining for the last 1,000 years, with gold representing 95 percent of the country’s mineral production. Mali has attracted numerous foreign investors, leading to significant gold discoveries such as Sadiola Hill, Yatela, Morila and Loulo and making it the third largest gold producer on the continent. As a result of expansive gold mining industry in the country and the subsequent support from the government for miners, Mali is a favorable location for further investment and exploration. Between 1998 and 2004, the project was held by Hyundai Mali SA. The then-owners explored the permit for gold as part of their Sepola Project, uncovering seven mineralization areas: Barani, Barani East, Keniegoulou, Keniegoulou South, Dambamba, Kousili and Linguekoto. Results from their initial exploration included grades of 8.26 g/t gold over 4 meters and 9.31 g/t gold over 4 meters. Of the mineralization zones, Desert Gold has conducted further work on the first three, identifying them as key target areas. Since owning the property, Desert Gold has gathered 2,223 soil samples over the western portion, conducted the first phase of drilling in the gold anomalous zone and completed IP surveys over five grids. The first phase of drilling covered 978 meters across 10 drill holes. Intersections included 10 meters of 7.8 g/t gold on the Barani East prospect, 2.19 g/t gold over 9 meters in the Barani prospect and 5.92 g/t gold over 4 meters in the Keniegoulou prospect. 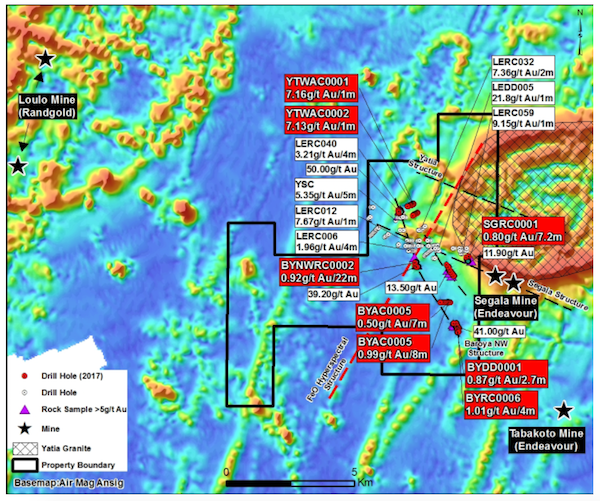 The Barani East target zone has seen extensive historical and contemporary drilling, leading to an inferred resource of 317,021 tonnes of 2.29 g/t gold and an indicated resource of 652,000 tonnes at 2.22 g/t gold. Early metallurgical results for the prospect have indicated a recoverability of over 90 percent by CIL. In February 2018, Desert Gold launched an additional drilling program on the property. Focusing on the three target areas, the drill program covers 31 holes, including 780 meters of diamond drilling and 3,265 meters of RC drilling. Other upcoming work for the property will include the completion of social, environmental and hydrological studies, further metallurgical test work, scoping studies and license applications. 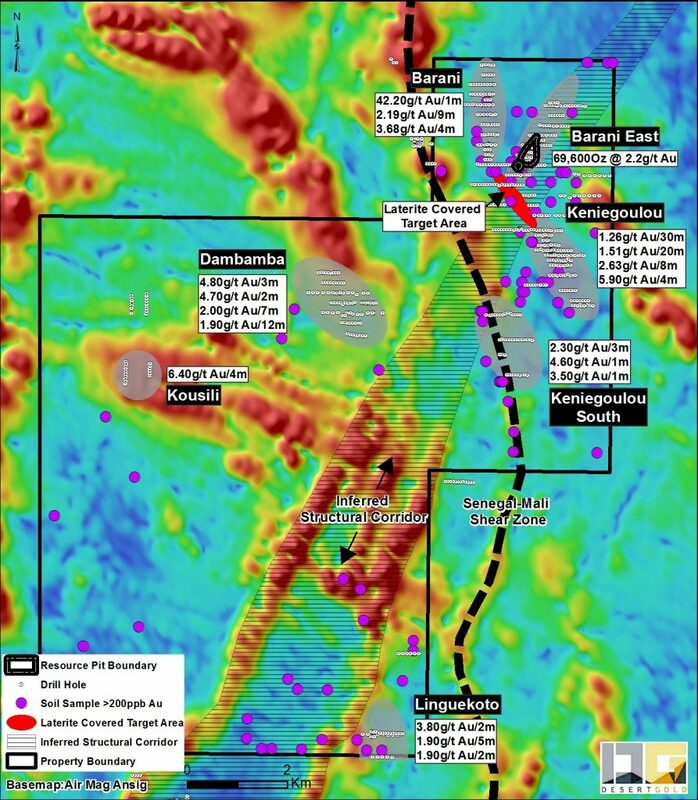 Previously owned by BHP Minerals in the early 1990s, the Segala West project measures 92 square kilometer and is positioned between Rangold’s Loulou mine and Avion’s Segala mine. It is accessed by dirt roads and can procure water from the nearby Faleme river. The property also hosts two artisanal mining localities that have been active for 300 years and has shown gold mineralization as a result of both drilling and trenching. The Segala West project has seen extensive exploration initiatives including 2,982 soil samples, 11 trenches and ground magnetic surveys. It has also undergone 5,820 meters of RC drilling and 2,390 meters of diamond drilling. As part of the trenching program, the company collected 1,806 samples, which returned results of 2.97 g/t gold over 1 meter, 3.12 g/t gold over 1 meter and 2.87 g/t gold over 10 meters. Additionally, drilling completed in 2009 showed results of up to 7.4 g/t gold over 2 meters. 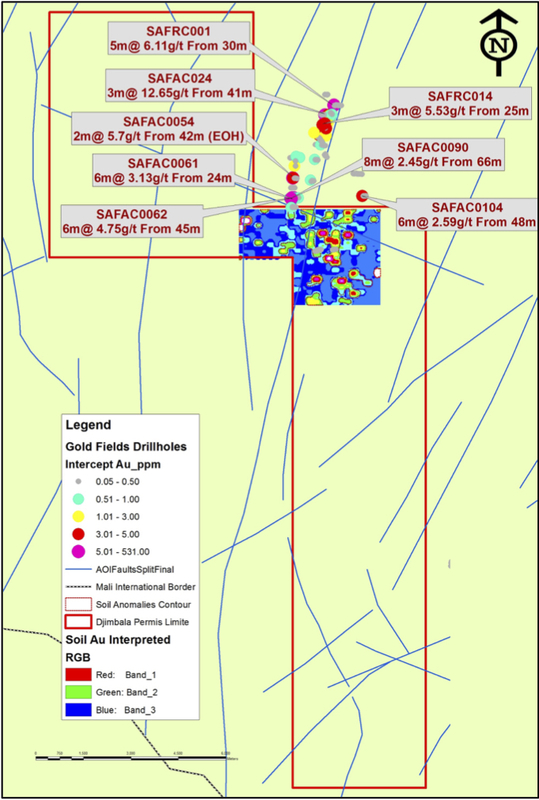 In November 2017, Desert Gold launched a two-month drill program on the property aimed at testing and confirming the continuity of the gold mineralization across five newly uncovered zones: Baroya, Baroya North, Baroya North-West, Segala and Yatia West. Initial results from the program included 0.92 g/t gold over 22 meters at Baroya NW, 7.13 g/t gold over 1 meter at Yatia West and 0.88 g/t gold over 8 meters at Baroya North. Heading into further exploration initiatives, Desert Gold sees plenty of upside potential on the Segala West project. This is because several soil anomalies remain untested, the bedrock target still needs developing and there is conceptual targeting being done behind the scenes that could influence the project’s progress. Located 220 kilometers south of Bamako, the Djimbala property measures 125 square kilometers and can be accessed by both a tarred road and all-weather track. The property also has access to nearby power and water can be sourced from rivers in the vicinity. The project also sits in the Yanfolila Gold belt, nearby the Komana West project, with a probable reserve of 239,200 ounces of gold at 3.06 g/t gold and the Komana East project, with a probable reserve of 470,600 ounces of gold at 3.18 g/t gold. An initial phase of soil sampling has delivered positive result, with positive results identifying soil anomalies coinciding with favorable structures. Moving forward, the company plans to continue mapping and sampling across the property, particularly in the existing artisanal mining areas, so as to define early-stage targets. The company will also conduct drilling frame work to constrain bedrock targets. Sonny Janda became the Chief Executive Officer of Desert Gold in early 2016. His main responsibilities with the Company include project financing and project development for the Rwanda and Mali projects in Africa. He concurrently serves as General Manager of the Janda Group, a family-owned business, developing various types of real estate assets including commercial, office, industrial, mixed-use, residential and agricultural. His experience ranges from operational, financial management, to business development for future investments. He also holds notable board positions on Lucky Minerals Inc., Mag One Products Inc., Grenville Gold Corp. and Acana Capital Corp. He earned a Bachelors Degree in Economics from Simon Fraser University. Jared Scharf’s background is in corporate finance and financial accounting. Over the last eight years he held senior finance and accounting positions in the alternative energy, mining and technology sectors. From 2005 to 2009 he held the position of senior associate for ITM Corporation, a Toronto-based asset management firm, where he worked with a variety of development companies ranging from Geothermal projects in Latin America to oil and gas projects in Eastern Europe. He holds an Honours Commerce degree in Finance from the Telfer School of Management at the University of Ottawa as well as a Bachelors of Administration also from the University of Ottawa. Salif Keita is a senior geologist with over 14 years of experience in exploration and mining production. The majority of his regional experience is in the Birimian Green Stone Belt in West Africa where he held senior positions with Anglo Gold Ashanti, Gold Fields and Great Quest Metals. He holds a B.Sc. Geology (Honors) from the National School of Engineering, Bamako, Mali. Larry Tsang holds a Bachelor’s Degree in Technology (Accounting) from British Columbia Institute of Technology in Canada and served as a senior accountant for four years with Ernst and Young LLP, Vancouver, Canada. His experience includes more than 12 years working in auditing, accounting, taxation, and finance for both private and public companies. He is currently also the CFO of Minco Base Metals Corporation, Minco Silver Corporation and Minco Gold Corporation. Bruce Thorndycraft has metallurgical experience in bringing 94 heap-leach projects to fruition. In the past Bruce has worked for Atlanta Gold as a Vice President of Operations, as well as the General Manager of Atlanta Gold Corporation. He has also worked as the Chief Operating Officer of the Lluvia de Oro and La Jojoba gold mine at NWM Mining Corporation. He has more than 35 years of experience in all aspects of heap leach operations, including open pit mining, process design, plant and pad construction, heap leaching, gold plant operations and metallurgical analysis. The scope of his experience spans gold projects in Central and South America, Nevada, USA and Canada where he was involved in the gold mining, gold milling and gold recovery processes, both from the design and operating side. He holds a BS in Chemical Engineering and a Masters in Metallurgical Engineering. Greg Isenor holds a B.Sc. geology, (1970) from Acadia University and is a member of the Association of Professional Geologists of Nova Scotia. Currently Mr. Isenor is President and CEO of Roscan Gold Corporation; a company engaged in gold exploration in Western Mali. Greg Isenor was President, CEO and Director (2005 to 2017) of Merrex Gold Inc., up until Merrex was taken over by Iamgold Corporation. 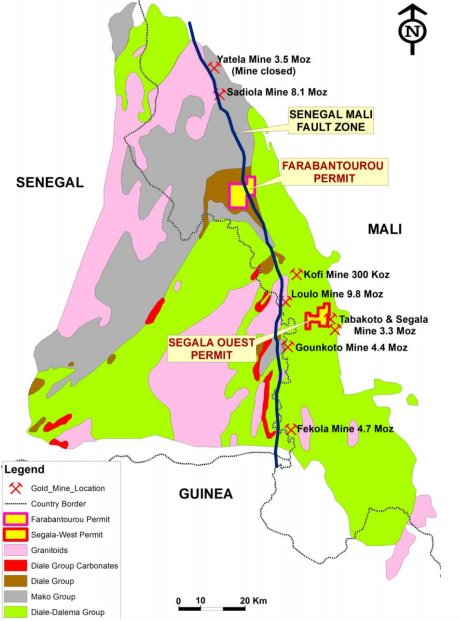 During that time, Merrex discovered two significant gold deposits in Mali (West Africa): the Siribaya deposit; and, with joint venture partner Iamgold, the Diakha deposit. To date, these two deposits are estimated to represent a combined resource approaching approximately two million ounces of gold. Previously, Mr. Isenor was the President, CEO and Director (2003 to 2005) of Jilbey Gold Exploration Ltd., until Jilbey was acquired by High River Gold Mines Limited. During Mr. Isenor’s time with Jilbey, Mr. Isenor led the team that identified the Bissa gold deposit in Burkina Faso (West Africa), which was placed into production by Nord Gold SE and has a reported resource exceeding 5 million ounces of gold. In addition, from 1979 – 2003, Mr. Isenor worked as an independent consulting geologist on mineral exploration projects in Canada, the United States, Australia, New Zealand, Asia and Africa. As well, Mr. Isenor founded Jubilee Mineals Inc, to develop the Jubilee zinc deposit; and, Glencoe Resources Inc. to develop the Glencoe limestone deposit. Both of these deposits are located in Nova Scotia, Canada. *Disclaimer: The profile provides information which was sourced and approved by Desert Gold Ventures Inc. in order to help investors learn more about the company. Desert Gold Ventures Inc. is a client of the Investing News Network (INN). The company’s campaign fees pay for INN to create and update this profile page, to which links are placed on Investingnews.com and channel newsletters.